Happy Monday, friends! I was messing around with my Special Season Stamp Set over the weekend to see how the tree would look stamped and embossed in different colors. I came to the conclusion that I like it best embossed in silver or gold. It really makes a statement that way. I like the way the gold embossing pairs with traditional Christmas colors, too. 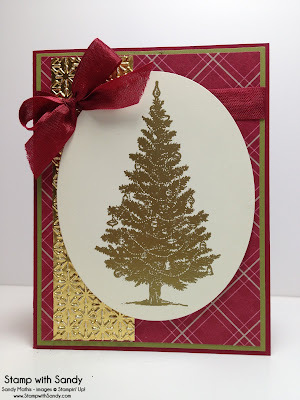 After cutting my embossed tree with an Ovals Framelit, it worked just perfectly for the sketch at Freshly Made Sketches. I originally had a greeting draped over the tree, but I hated to cover it up so opted for a card without a sentiment. I'll stamp my sentiment on the inside. After all, the image pretty much speaks for itself, don't you think? I hope you all have a great week! Inky hugs! Gorgeous! 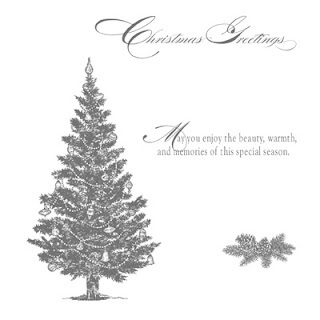 I agree, you don't always need a sentiment on the front....this is pretty just by itself! WOW!!! THis is amazing!! And a sentiment is completely unnecessary....makes it all the better for framing. :-) Glad you joined us this week at FMS! Gorgeous and elegant! 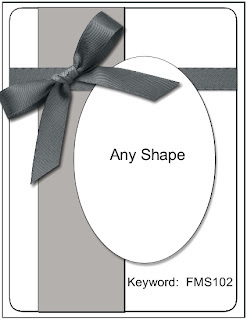 I love the embossing, and your bow is beautiful. Beautiful, Sandy. 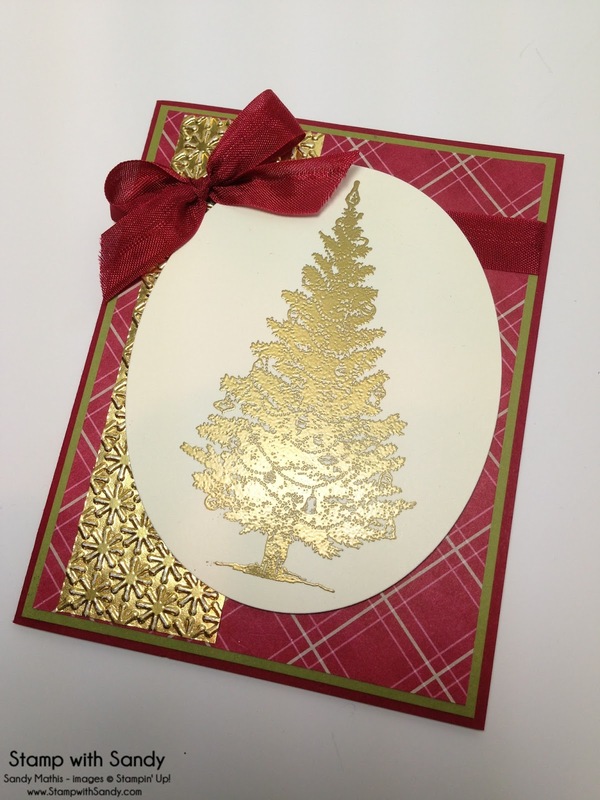 The embossed gold foil accent piece is perfect! This is a knockout! So beautiful. The foil and the embossing powder - stunning.